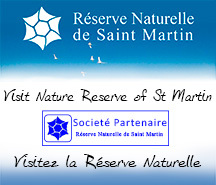 Four discovery paths invite hikers to walk along the main ecosystems making up the Réserve Naturelle. In two and a half hours, one can walk the 4.5-kilometer Froussards path, between Anse Marcel and the beach at Grandes Cayes, via the deserted beach of Petites Cayes and discover the last intact dry forest on the island. 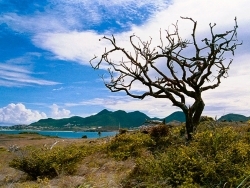 On the island of Pinel, a path almost a mile long connects the three beaches of this islet. Information panels tell hikers and two orientation tables identify the outlying islands, with descriptions of local species of vegetation and the birds that inhabit these shores. Along the Etang de la Barrière, in Cul-de-Sac, a 225-meter-long wooden path on stilts allows the discovery of a fascinating ecosystem between the land and the sea, dominated by mangroves, a popular spot for numerous species of birds. 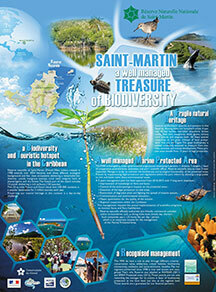 Starting on the beach in Pinel, a path allows to discover the world of protected underwater flora and fauna. 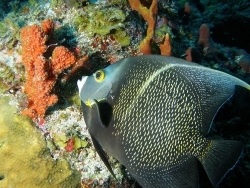 A professional guide, also marine biologist, rents equipment and accompanies divers (no air tanks).